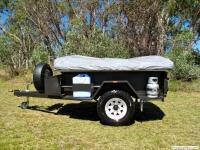 The Cavalier Camper Trailer is our off road camper trailer which is able to be towed by most vehicles. 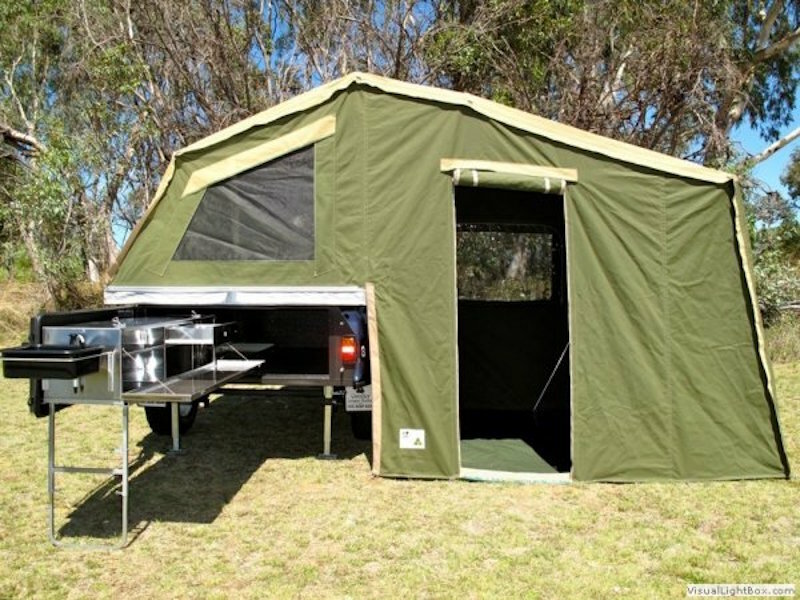 The trailer area is all storage space and the canvas is 12 - 15oz proofed canvas (wax Converters Canvas) made to handle the harshest weather conditions, for a hassle free holiday. Kitchen with sink and pump, 3 Mattresses – 1 x Queen Size, 2 x Single, Cooker and gas cylinder, 12v LED Strip Lighting, Water Tank 70L, Awning with windbreak for kitchen area, Ladder, Camp table + 4 camp chairs, Storage Box, Spare Wheel, Ropes, steel pegs & poles, Fire extinguisher and other inclusions (view the list here). Please make sure you have read our hire terms & conditions. Please note that during the official WA school holidays a minimum of 14 days of hire is applicable. Check the Public School Term Dates here. 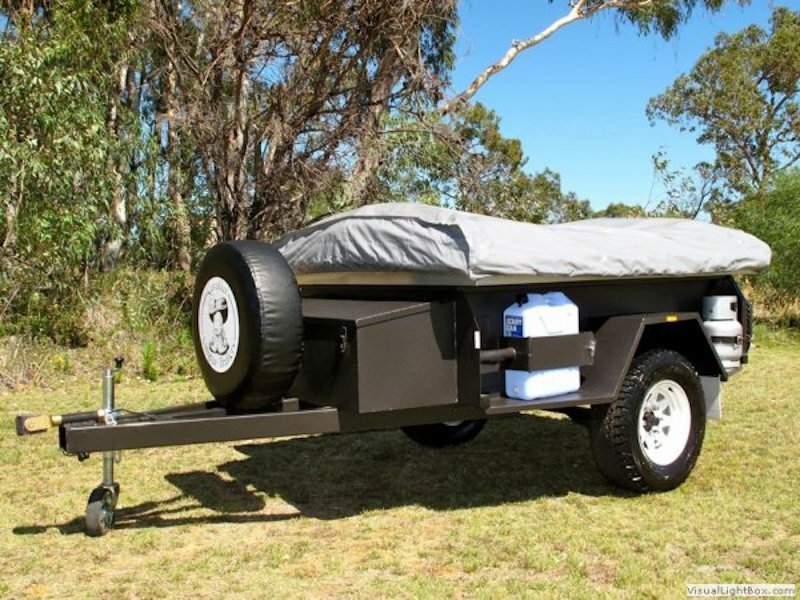 Stressed for time, why don't you call us on 0447 971 526 to see whether we can deliver and / or pick up your camper trailer for you? Keep up-to-date with our latest news, special deals and awesome camping tips!